Description: The year cycle of experimental researches of parameters of meteoric reflections of signals of television broadcasting by means of the diverse radar-tracking system has been conducted. Gained results are well correlated with results of other researchers. The observed measuring complex has shown high operate reliability. Besides at the expense of the offered procedure processing of signals identifies meteoric reflections, than analogous complex more correctly. The procedure for more effective detection of weak meteor showers is offered. Oleinikov, A.N., Lykov, Iu.V., Kukush, V.D. and Shkarlet, A.I. 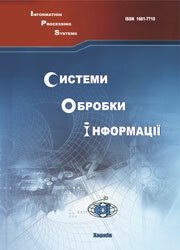 (2010), “Rezultaty issledovaniia parametrov meteornykh otrazhenii signalov televizionnogo veshchaniia raznesennoi radiolokatsionnoi sistemoi”, Information Processing Systems, Vol. 1(82), pp. 110-118.